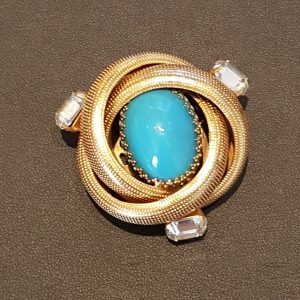 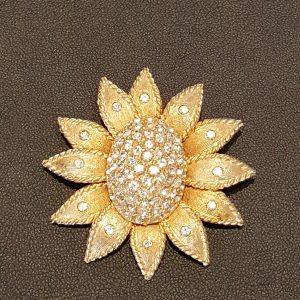 Costume brooch large knot with faux turquoise centre by Arnold Scaasi. 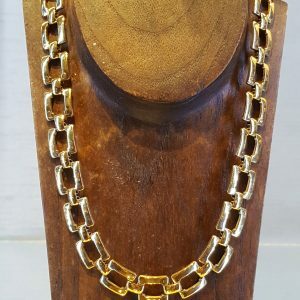 Gold costume short square link necklace. 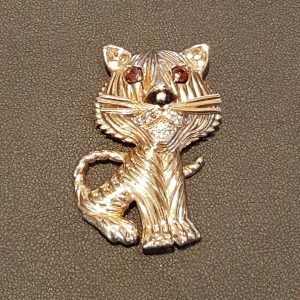 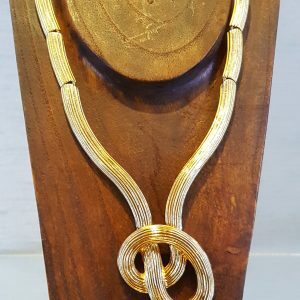 1960’s Panetta Fan Front Necklace. 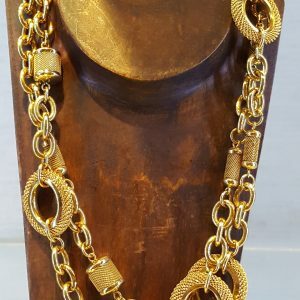 Anne Klein Gold Knot Necklace. 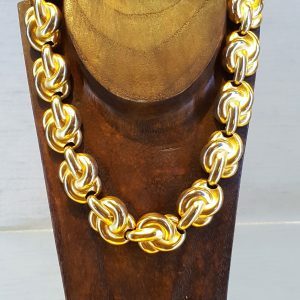 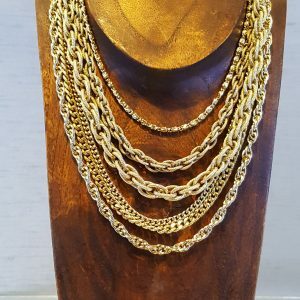 1960’s Monet Gold Chain necklace. 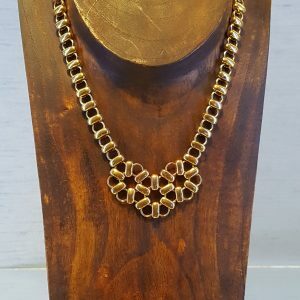 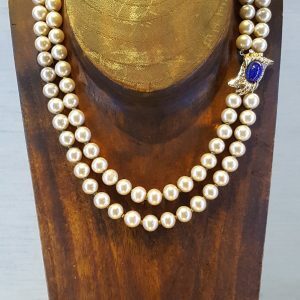 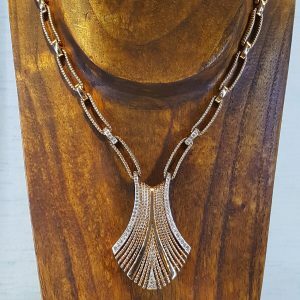 1960’s Monet 5 strand box link Necklace. 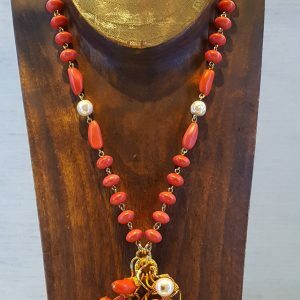 1980’s Costume coral and gold necklace by designer Dominique Aurienti. 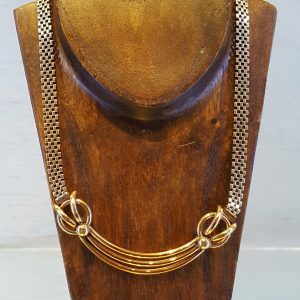 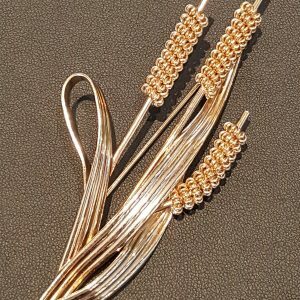 Monet ribbed long link with knot centre necklace. 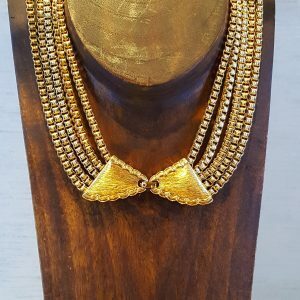 Marvella 1950’s Set of matching earrings, Necklace (pictures) and bracelet. 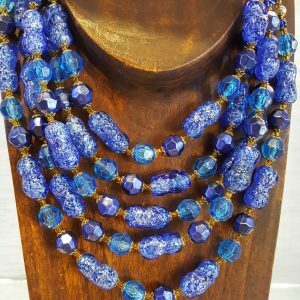 1950’s Blue bead bib necklace. 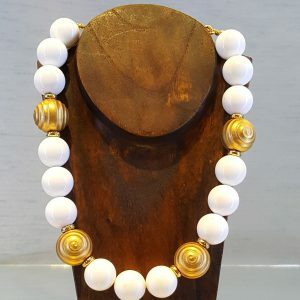 1980’s White and satin gold bead costume necklace. 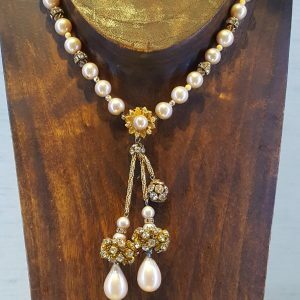 Miriam Haskell costume necklace with baroque pearls and gold rhondells.